After the insane lines had dwindled a bit from Saturday’s opening, I ventured to Krekel’s on Sunday with my kids to experience Champaign’s version of the central Illinois staple. I wasn’t disappointed; it was as I remembered it from my Krekel’s visits in Decatur and Mt. Zion. The double hamburger, crinkle-cut fries and strawberry milkshake was finely fit for a Krekel’s, and my kids had no trouble scarfing down their chicken tenders and chocolate chip milkshake. If you’re unfamiliar with Krekel’s, the short version is this: It is most similar to Culver’s, or perhaps Freddy’s. These are thin, crispy burgers. 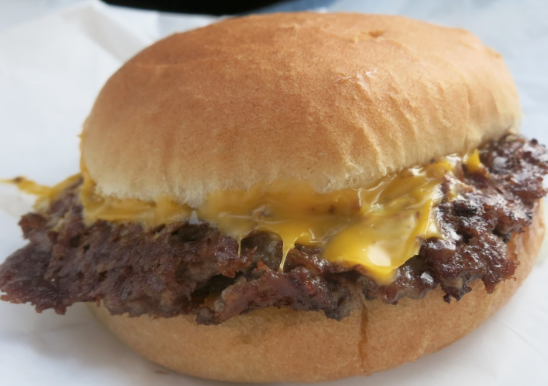 They have a scattering of other offerings, too, but the Krekel’s locations have made their bones on burgers and fries and shakes. And that’s why the consternation about Krekel’s physical location — on Kirby Avenue, next to Jarling’s Custard Cup — has stunned me. But the location makes plenty of sense. First, the two are competitors only in the loosest sense, for the reason described above. Krekel’s main competition is Steak ‘n Shake and Freddy’s and Culver’s. Second, the building in which it resides was established as a restaurant, with a kitchen in place and little renovation required. Why not move there? Third, even if the concern about two custard-selling businesses being side-by-side were legitimate, what’s so unusual about that? Who says anything when bars are next to each other in downtown Champaign? Has anyone noticed there are about five banks within 200 yards of each other near the Crossing? McDonald’s and Burger King are across the street from each other in hundreds of cities. So, at the bottom line, I’m here to say this: Krekel’s and Custard Cup will peacefully coexist — and continue to thrive — because they offer quality food. There’s always a hunger for that in Champaign-Urbana.